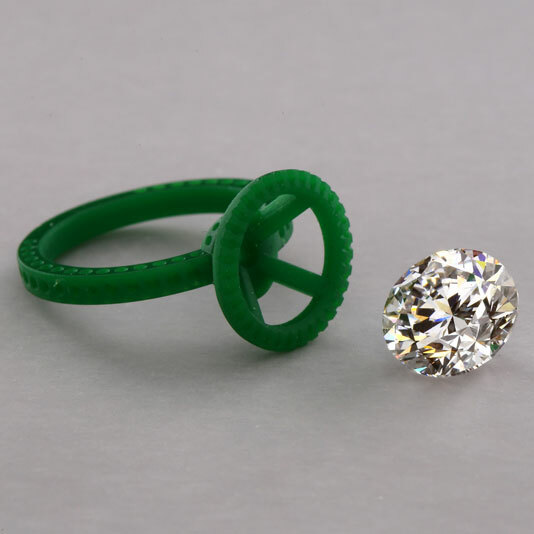 Wax models are used both for settling design details and for production of cast pieces. 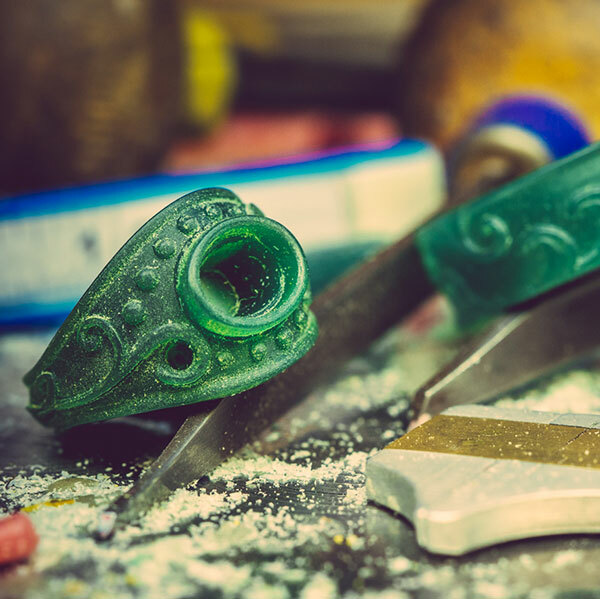 If the piece is to be cast, as most are, we first create a wax master model. 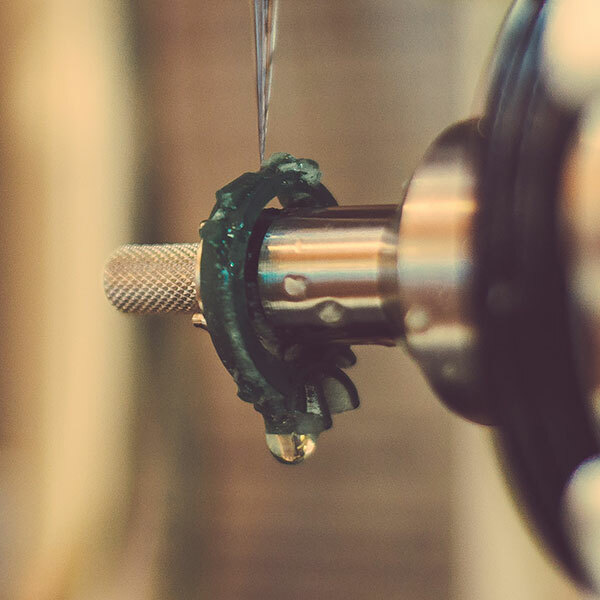 We do this by using a combination of our Gemvision Revo 4 milling machines and hand carving to create the perfect blend of artistry and detailed perfection. 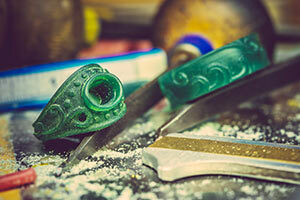 We have highly skilled wax carvers available at your service to ensure an artistic touch to your design. 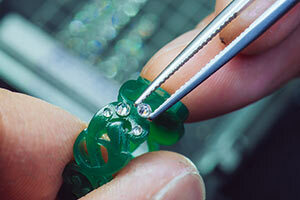 Once completed, you can view your model to see if it is exactly what you're looking for. If not, we will make adjustments at no additional charge; we will work with you until we get it exactly right. 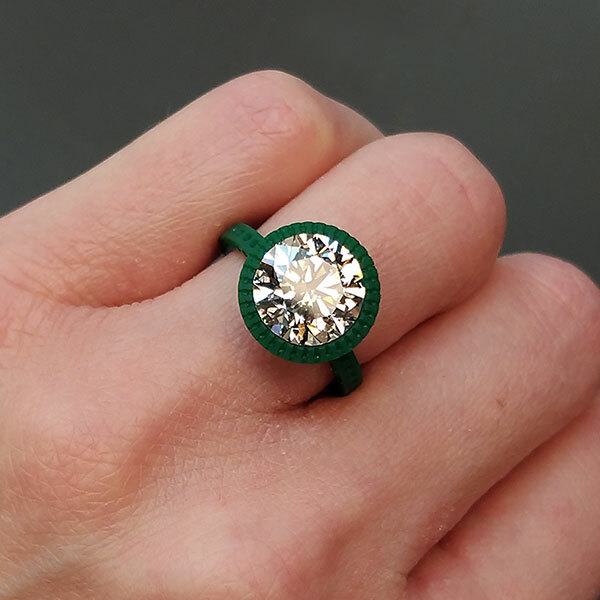 As with design drawings, you can view the wax model by e-mail, on your design page on our website, or you can even view the wax in person in our Seattle or Bellevue locations. We are happy to send you the wax in the mail if you live far away. We will do whatever is easiest for you. 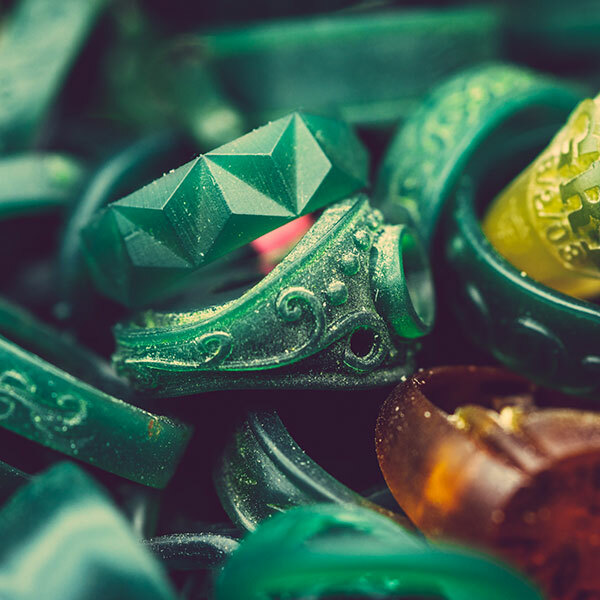 Waxes for viewing during the design process may not be suitable for production (for instance, the stone setters need extra material to be able to set stones, so bezels and prongs look heavier and taller in wax form, but are brought down to size after the stones are set).